Ed Ruscha, “Brave Men of La Jolla” (1995). Image credit: Happy Hotelier. This is not going to be a typical Gray Market blog post. Today, I want to tell you a story. When I was a spiky-haired kid with a comic books obsession, I started dreaming of life as a visual artist. First drawing, then painting became pillars of how I saw myself. Using them as an outlet was one of the core reasons I survived high school. And when I got to the University of Chicago in 2001, I was convinced that I would major in studio art en route to becoming a practicing professional artist. Then some class scheduling conflicts arose. I didn’t get into any studio courses for my entire first year. Since it was the next best thing, I detoured into art history–first temporarily, then all the way through to graduation. This wasn’t because I loved studying work more than making it. It was because, at 19, I traded dreams. I decided I was going to write movies. And with a year of art history credits built up, continuing down that path would get me through college and out to Los Angeles to chase that new dream as fast as possible. Once I got to LA, though, chance and my background landed me a day job in a contemporary gallery. During business hours every Tuesday through Saturday, I learned just how different the art market was from art history. But on nights and weekends, I set aside all those lessons about the industry and immersed myself in character breakdowns, Final Draft documents, script notes, and pitches. By the spring of 2012, my gallery responsibilities had grown and intensified way beyond what I’d ever anticipated when I started seven years earlier. I’d managed major collections. I’d overseen site-specific, blue-chip commissions from concept to installation. I’d been the fine arts point man for a $5B commercial real estate project. The list goes on like an unedited Aaron Sorkin monologue. But my screenwriting life was giving me the “Zou Bisou Bisou” treatment, too. I was repped by a major management company. I had a couple of projects that looked like they might be on the cusp of becoming paying work. And with the dashboard display announcing that the art market was set to launch toward the sun again, I felt like if I didn’t eject from the cockpit right then, I’d never know what life outside the contemporary art shuttle might be like. So I took a chance. Ready to start dipping into the savings I’d built up, I left the gallery for good. For better or worse, the movie opportunities turned out to be mirages. And within six months, it became clear that I was chafing against life as a full-time, aspiring screenwriter anyway. About three months in, I quietly–in fact, secretly–began writing about my art career. I didn’t even understand why. Wasn’t that realm what had been slowing me down since college? But in the quiet hours, it satisfied a fix screenwriting hadn’t in years. This epiphany practically scared my skeleton out of my flesh. Because with my thirtieth birthday staring me in the face, it meant that I might be someone different than I thought I’d been for almost half my life. A tumultuous year followed. I started working as a freelance copywriter, but that was always a necessary means, never a fulfilling end. It didn’t solve the riddle of what I was REALLY supposed to be doing with who I’d become. I still wanted to write professionally. 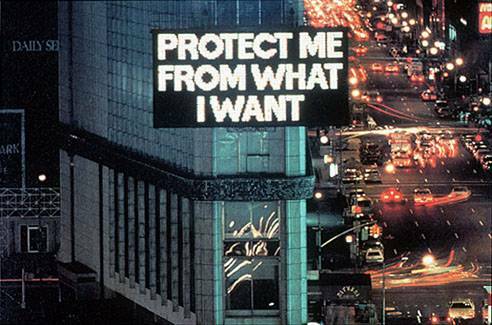 And though I resisted the conclusion for months (cue Jenny Holzer), I eventually admitted that I wanted my subject to be the art world. I just didn’t know how to offer anything unique. I wasn’t a critic, and I didn’t have any interest in becoming one. I belong in academia about as much as I belong in the Latin Kings. What else was there? Him: You really like talking about art from this angle, don’t you? Me: I guess I do. Him: Why don’t you write about THAT? Soon after, in December 2013, I started The Gray Market. Andy Warhol, “One Dollar Bill (Silver Certificate)” (1962). Image credit: artnet. My concept was to stake out territory in the art writing landscape similar to what smart, entertaining finance bloggers like The Reformed Broker were doing in their field. I would use what I’d learned during my gallery career and what I’d been studying independently afterward to demystify how the fine art industry worked–in terms any interested reader could understand. Over the next year and a half, I pumped out as many posts as my freelance life would allow. (This is number 104, if you were wondering.) I’m very proud of that work, especially since many of my predictions about where the industry was headed have already started coming true. But those of you who follow the blog closely have undoubtedly noticed that I haven’t been posting nearly as much this year as in 2014. There’s a simple, legitimate reason for that. Trying to live the #BlogLife proved to me that I’m screwball-comedy-level in love with contemporary art–both the work itself and the business. But it also proved that I don’t want to just stand at a keyboard pounding out essays about either one for the rest of my professional life. Which of course begs the question: What next? Somewhere in the midst of my Average Is Over series–which began as a bullish argument for the online art market, then gradually morphed into something else–I had another conversation with the smartest person I know. While we were talking about both the series and my growing dissatisfaction with the writing life, he asked me if I’d ever considered whether the blog was actually just a really long business plan. At the time, I hadn’t. But afterwards I realized that he might be right. That business plan was for what I (awkwardly, in retrospect) labeled an Artists’ Independent Manager, or AIM–essentially, the type of talent manager who would normally represent actors, screenwriters, or musicians. Only in this case, they would apply the same skills and resources to visual artists. This new breed of reps would fill the gaps left behind by the gallery model’s recent shifts. They would maintain no physical exhibition space and incur none of the brutal associated overhead costs. And therefore, they could avoid certain conflicts of interest stemming from many gallerists’ constant need to sell, sell, sell to keep the More Machine churning. A rep cast from this mold would have complete freedom to program independent exhibitions, network with the buy and sell sides alike, and balance long-term development and short-term opportunities for his clients. He could be nimble, flexible, and most importantly, completely aligned with artists’ incentives at every turn. If I’m right about all this, it would leave me with two options. Option One: Continue writing about the subject–and get a nice pat on the back from a few editors and the small audience subscribed to this blog. Option Two: Try to become one of these agents myself, prove the model works for artists in practice rather than in theory, and possibly help change the industry for the better. As you may have guessed by now, I’m choosing Option Two. Does this mean The Gray Market is shutting down? No. But its focus is shifting. I’ll still be writing, and all the existing posts will stay available. But when I post new material, it’ll no longer be about whatever phenomena in whatever sector of the industry seems intriguing in a given week, whether it’s auction houses, museums, art fairs, arts journalism, etc. Instead, I’ll be writing strictly about issues affecting artists directly. The Gray Market will become a dedicated marine map for people trying to figure out how to chart a course through the stormy seas of the last great unregulated industry. And that will likely include myself, as I try to navigate a role no one in the industry has totally figured out yet. I’ll be relaunching the website over the next few weeks. And while the details on the rest will have to wait, ultimately it won’t just be a blog anymore, either. I hope you’ll join me on this new adventure–both online and, soon, in the physical world. I don’t know what to expect, but I’m more excited about it than I’ve been about anything in a long time. So smash an imaginary champagne bottle against your monitor, and let’s leave behind this old, familiar shore for something greater.